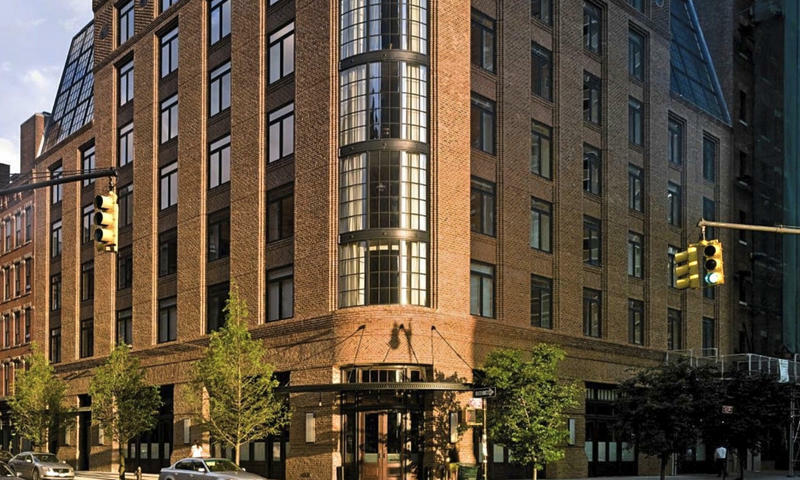 Manhattan is one of the most creative cities in the world, without a doubt it is also able to provide some of the best hotels the world has seen. The list of hotels stated in here, are hotels that average people can only dream of. It offers some of the best services in the world. Millions of people flock to this city, the rich, the influential and the powerful reside in this part of the world. Hollywood A-list celebrities, successful writers, film makers, CEOs of top 500 companies in the world, need to be served with the best and need to stay inside the most expensive hotels Manhattan has to offer. The last most expensive hotel in Manhattan is The Greenwich hotel; guests can stay for $2,050 per night. All the hotel beds are made from Duxiana from Sweden; the bathrooms are designed uniquely and with hand laid Moroccan tile as well as Italian Carrara marble. Guest is also provided with high-definition flat screen TVs, complimentary wireless internet, laptop as well as pre-loaded iPods upon request with no additional charge. 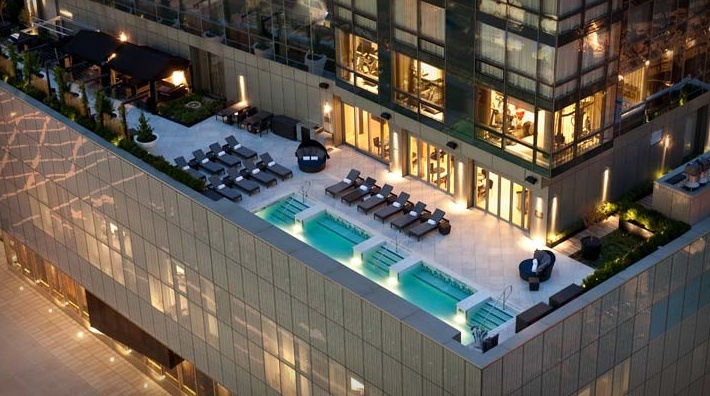 For $10,000 guests can avail of the two-bedroom penthouse at the Trump Soho. The hotel offers Spa amenities, including indoor and outdoor relaxation rooms. 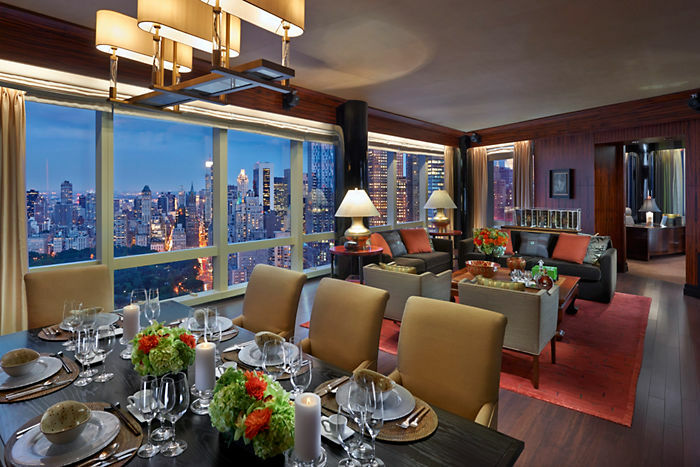 Guests can also unwind in the Library with a cocktail.The place also offers a personalized stay for the guests and is still one of the most sought out hotels in Manhattan. 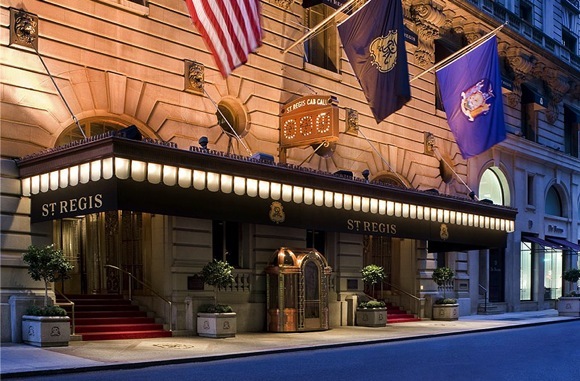 This is the 8th most expensive hotel in Manhattan, visitors has to pay $14,000 per night to enjoy the amenities. The hotel has culinary offerings throughout the day, guest are also given complimentary wireless laptop access in the lounge including an exclusion collection of DVDs, CDS and children’s books that is perfect for families. They also have a butler and a concierge that will do anything that is required of them by the clients during their stay.The hotel offers some of the best seafood selection and makes sure that they are harvested from sustainable environments. For $15,000 a night, visitors can already experience the wonders of Versailles while in New York. 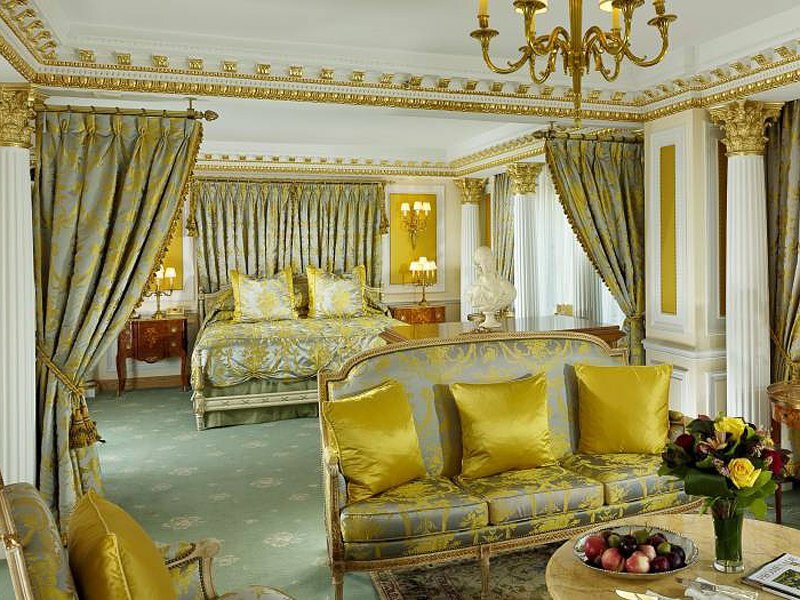 The Tower Royal Suite has rooms that are decked in gold which will make the guests feel extra luxurious and special. Guests can also experience the two-story cascading crystal chandelier that is placed inside the hotel. This hotel also offers some of the most refined cocktails in the world with their upscale cocktail salon. It is one of the most sophisticated hotels in the world that offers specialty vintage drinks as well as an impressive wine and beer list. For $18,000 guests can experience a two-person shower amenity at the Presidential suite. Guests are also going to enjoy the spectacular view of the Central Park at the Hudson River. The hotel boasts of unique artworks, handcrafted rugs and is filled with amazing artifacts all around the world as well as furnishings. The walls are made from honey onyx as well as over-sized tub and glass enclosed steam showers. The presidential suite comes with a large working desk that is perfect for clients who are on a business trip. This hotel was named after the Taj Hotel’s parent company, a prominent Indian business group. The hotel offer an expansive living room, two bedrooms with baths, as well as a custom silver leaf table that can seat eight guests and a pantry kitchen. All clients are given the chance to experience their hand-selected Taj Royal Attaché, this is truly an honour because this selection came from along lineage of butlers who were trained well in India’s Imperial residences centuries ago, and guests can expect a most dignified kind of hospitality. It costs $20,000 to say per night in this one of a kind hotel in Manhattan. 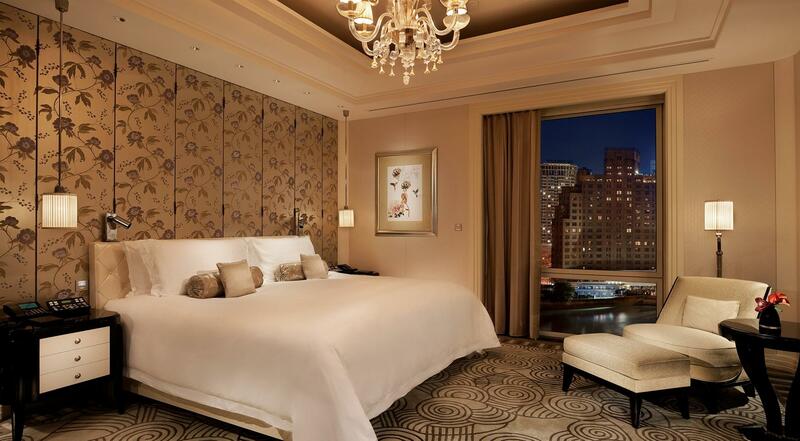 Guests are charged $24,000 a night to stay in this luxurious Manhattan hotel. The Peninsula suite has six rooms, a master bedroom, a living room, kitchen, study as well as a second bedroom. 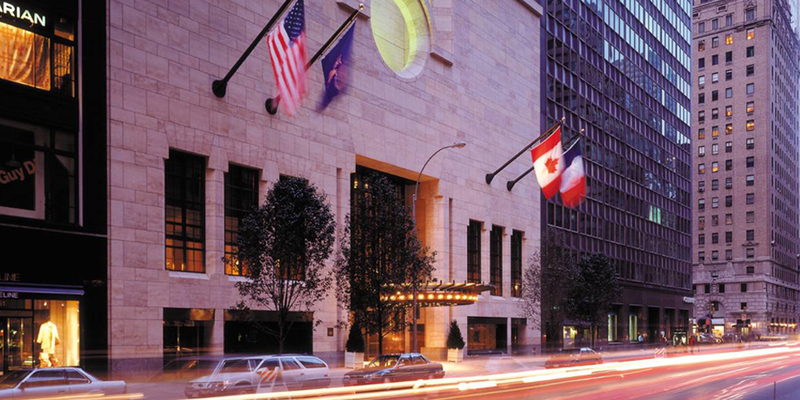 This hotel is near Central Park, Fifth avenue shopping centers as well as the Rockefeller center. The hotel offers 239 rooms and were all designed for maximum comfort. Visitors are allowed to enjoy the impressive high speed internet the hotel is able to provide. Guests are all given a personalized experience; they are offered a personalized sleep experience,. 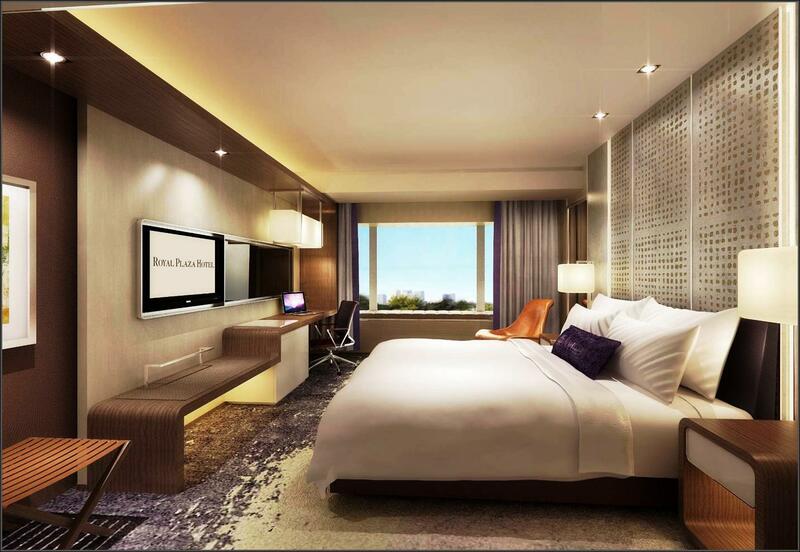 Hotel amenities will include a round-trip airport transfers that will make use of BMW cars. 24 hour-checks in and checks out are also offered including an iPad for use all throughout the stay of the guest. Guests can stay for $30,000 a night, they are allowed to host a party of twelve in the dining room, and they are also offered a state-of-the art kitchen that can be used by the personal chef of the guests. One of the most expensive suites is a three-bedroom suite in a private area of the hotel overlooking Fifth Avenue and the Pulitzer fountain. The furnishings and design have been inspired by the royal court of Louis XV. The hotel also has a gymnasium and a separate dressing room. This is the second most expensive hotel in Manhattan; hotel guests are charged $35,000 per night. This is where Marilyn Monroe and Salvador Dali once slept. The hotel offers four full-service bathrooms; clients are also offered a world-class Remede Spa and salon services including a 24 hour Butler service and room service. This is deemed to be one of the most expensive hotels in Manhattan and most probably one of the most luxurious in the world. Hotel guests are going to pay $45,000 a night, with this amount guest are allowed to enjoy the 360-views of Manhattan through the floor-to-ceiling windows. The walls are made of calfskin leather, and the room has a grand piano. Guest is given access to a 24-hour personal butler, a personal trainer and a Rolls-Royce chauffeur.The hotel room is cleaned twice a day to ensure the convenience of the guests. The room is also complete with state-of-the art technology and was crafted out of opulent décor in order to make sure that the stay of the guests would be unrivalled. Clients who stay here are nearby some of the most iconic attractions in New York like the Times Square, Chrysler Building and Broadway. 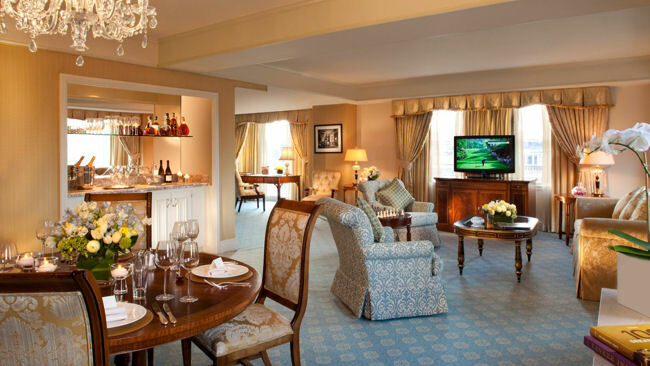 It has 368 luxury rooms and suites, and usually houses Jennifer Aniston and Oprah Winfrey.